This Romanian spirit is now known even in Japan. It is palinca or tuica, a liquor that is always present on any Ardeal peasant’s table and not only. However, that wonder spirit is highly alcoholic, the most well-known being traditional plum palinca. Palinca was first documented in 1540, and tourists now coming to Romania must never leave without even tasting a small glass of palinca. 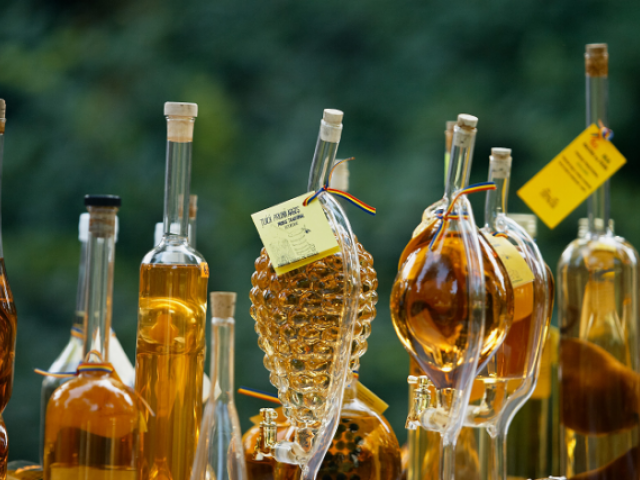 It is deemed one of the traditional Romanian spirits given its unique taste, as well as because it is 100 % natural. The Ardeal area palinca is made by alcoholic fermentation and fruit distillation. This traditional spirit can reach up to 65º. “Among all alcoholic beverages, the most natural is tuica. As regards wine, certain substances are added for it to last, the vineyard is sprayed with pesticides, but nothing is added to tuica and no pesticides are sprayed to the fruit trees in the peasants’ gardens; for an adequate crop, only animal fertilizer is used” said Stefan Todor in a village from Cluj Couinty, who makes tuica for over 20 years, for Agerpres. Plumbs, apples, pears, cherries, mulberries, quinces, sour cherries or blueberries – those are just some of fruits used for making palinca. Copper alembics used for making tuica give it a unique special flavor and a good palinca is known by its fruity taste. According to statistics, palinca makes up for 40 % of the alcoholic beverages consumption in Romania. No wonder it is thought that Romanians, mainly Ardeal peasants, drink a small glass of palinca almost after every lunch. As well, there is no wedding, baptism, anniversary, funeral or another important event celebration that does not include tuica. 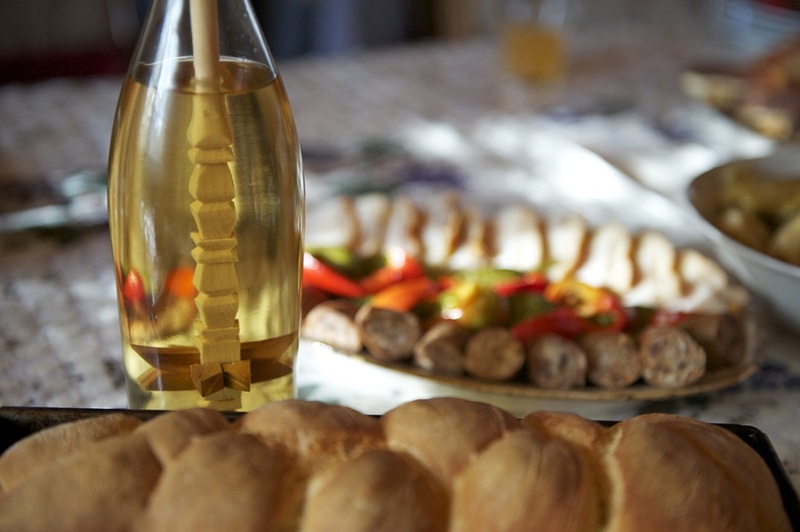 In Ardeal villages, mainly in Salaj, Maramures, Bihor or Satu Mare counties, guests are welcomed with palinca instead of coffee, which can be served next to bacon, onion, cheese and homemade bread. It is said that the best plum palinca is made by peasants in Satu Mare County, mainly those in Tara Oasului area. That is because it has the best and most flavored plum trees. Palinca also has several benefits for the human body: it helps digestion, is a “stomach bandage”, and a small glass of this spirit alleviates toothaches.